The Woodard McAlister Family Club is a 7,500 square foot heated and cooled premium space. 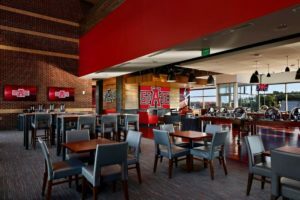 Amenities in the club include exterior seating, interior lounge seating, dining seating, private restrooms, television wall, and over 20 flat screen televisions. 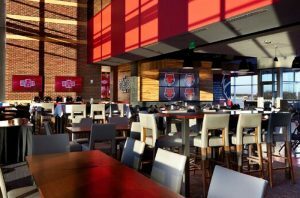 The Woodard McAlister Family Club can be transformed to accommodate business luncheons, receptions, rehearsal dinners, holiday parties, and much more. 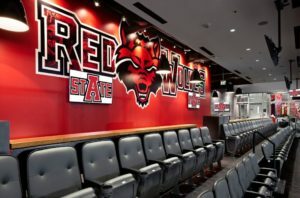 For rental information and fees contact Claire Drerup, Assistant AD for Administration at (870) 972-3126 or at cdrerup@astate.edu.